Viewing History, published this week as an eBook, is an evocative eyewitness insight into some of the tempestuous global changes in recent times, by a former BBC Newsnight producer, Keith Bowers. Keith also reveals the daunting and fascinating challenges faced by television producers on location, as they wrestle to broadcast their stories against the clock. The fall of the Berlin Wall, the collapse of communism in the Soviet Union, the death throes of apartheid in South Africa, these are just some of the dramatic international transformations witnessed by the author on his many travels. 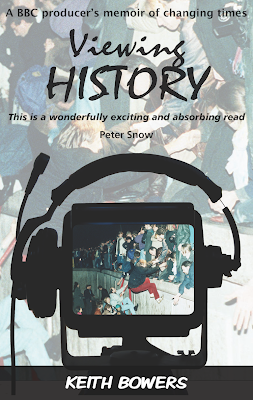 Based on vivid diaries, Keith's wry and engrossing observations provide unique and entertaining snapshots of how the modern world is evolving. Smart phones and tablets are not just changing the way we read! New figures released this month show the growing popularity of watching television on mobile devices, helping the BBC iPlayer hit record-breaking numbers of downloads. 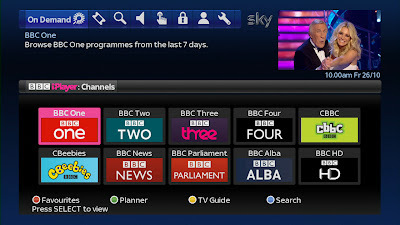 This reflects both the growing penetration of internet-connected devices in the market, and the near-universal availability of BBC iPlayer on those devices. Researchers say a third of us now prefer to watch TV on our mobile devices than on the box. At this rate, the figures will soon match those for people who now prefer to read eBooks rather than paper books. The Olympic ceremony topped iPlayer viewing last year, followed by Top Gear, Sherlock and Dr Who. There were almost 14 million downloads of the iPlayer mobile app, with 300,000 downloads on Christmas Day alone to devices such as the Nexus 7, iPad and Kindle Fire HD. 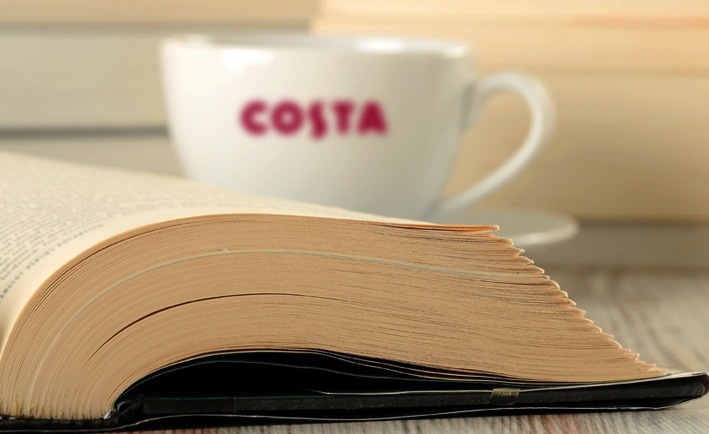 Costa Coffee today announces the identities of the six finalists shortlisted for the inaugural Costa Short Story Award. Over 1800 entries were received for the new Costa Short Story Award, open to both published and unpublished writers, for a single, previously unpublished short story of up to 4,000 words by an author aged 18 years or over and written in English. Established this year, the new Award - run in association with the Costa Book Awards but judged independently of the main five-category system – is unique in that it was judged anonymously ie without the name of the author being known throughout the process. A shortlist of six stories was selected by a panel of judges - Richard Beard, Fanny Blake, Victoria Hislop, Gary Kemp and Simon Trewin - and then made available on the Costa Book Awards website for the public to download and vote for their favourite. Voting has now closed and Costa is today revealing the names of the six authors shortlisted for the new Award, three of them published and three of them currently unpublished. Entirely coincidentally, the shortlist for the Costa Short Story Award exactly mirrors that of this year's Costa Book Awards category winners' list, in that it features one male and five female writers. The six shortlisted authors are Guy le Jeune, Avril Joy, Sheila Llewellyn, Chioma Okereke, Angela Readman and Salley Vickers. Guy le Jeune for Small Town Removal: Guy lives in the North West of Ireland and is a student at the Open College of the Arts, Creative Writing degree course. He started to write two years ago after a long a career in the theatre industry. His work has been commended in the 2011 Sean O'Faolain Prize and was shortlisted for the 2012 Fish Publishing Short Story Prize. He is currently running a cross-border Reminiscence Project for An Grianán Theatre, Letterkenny and is working on two novels. Avril Joy for Millie and Bird: Avril Joy was born and brought up on the Somerset Levels, the setting for her first novel, The Sweet Track, published in 2007 by Flambard Press. In 2008 she gave up her job as a Senior Manager at HMP Low Newton women's prison on the outskirts of Durham City in order to write full-time. She writes novels, short stories and poetry and has recently completed a new venture into crime fiction, Blood Tide, a novel set in the heart of Newcastle. Sheila Llewellyn for Dislocation: Sheila had two careers before turning to creative writing - firstly working for the British Council in Iran, Africa and Singapore, before retraining as a psychologist specialising in Post-Traumatic Stress Disorder. She now lives in Enniskillen, Northern Ireland and recently completed an MA in Creative Writing at Queen's University, Seamus Heaney Centre. In 2011, her radio play The House on Shareni Street won the PJ O' Connor Radio Drama Award and in 2012, Sheila was shortlisted for the Seán Ó 'Faoláin International Short Story Prize and for the Bridport Prize. She is currently studying for a PhD and writing a historical novel. Chioma Okereke for Trompette de la Mort: Chioma Okereke was born in Nigeria and came to England at the age of seven. She started her writing career as a poet before turning her hand to fiction. Her debut novel, Bitter Leaf, was published by Virago Press in 2010 and was shortlisted for the Commonwealth Writers' Prize – Africa Best First Book in 2011. She is currently working on her next book. Angela Readman for Don't Try This at Home: Angela Readman started writing short stories two years ago and has since been shortlisted in competitions including The Short Story Competition, The Bristol Short Story Prize, The Asham Award and The National Flash Fiction Day Competition. Some of her stories appear online and in anthologies including Unthology 3. She lives in Newcastle, has an MA in Creative Writing and also writes poetry. Salley Vickers for Mown Grass: Salley Vickers is the author of the word-of-mouth bestseller Miss Garnet's Angel and several other bestselling novels including Mr Golightly's Holiday, The Other Side of You and Dancing Backwards as well as a collection of short stories - Aphrodite's Hat. She has worked as a cleaner, a dancer, a university teacher of literature and a psychoanalyst. She is currently a RLF fellow at Newnham College, Cambridge and she divides her time between Cambridge and London. The story that received the most public votes will be announced as winner and receive £3,500 at next week's Costa Book Awards ceremony, with the two runners-up each receiving £750. Lance Armstrong, who has now finally admitted that he used performance-enhancing drugs to win a record seven Tour de France titles, is being sued by two California book buyers, over claims that he sold fiction as autobiography. The plaintiffs, Rob Stutzman and Jonathan Wheeler, say that they wouldn’t have bought It’s Not About the Bike: My Journey Back to Life if they had known the truth about Armstrong’s misconduct and involvement with doping. In the 2000 book and the 2003 follow-up, Every Second Counts, Armstrong strongly denied ever using banned substances, and attributed his successes to superior physical training, good diet, an extraordinary spirit and the drive to succeed. Armstrong finally admitted to cheating, in an interview with Oprah Winfrey broadcast last week. He now admits that, without his use of banned performance enhancing drugs, he would not have won and continued to win cycling races, including seven consecutive Tour de France races. Bish Bash Books, an American children’s ebook publisher, announced that one of their titles, Neandersmall and the Egg, was shortlisted as a finalist for best children’s eBook at this year’s Publishing Innovation Awards. 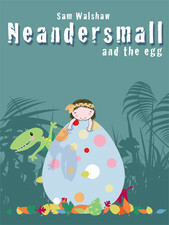 Neandersmall and the Egg was written and illustrated by UK artist, Sam Walshaw. It was converted to eBook by Inkebooks, an innovative Sheffield based eBook company who also makes all our YPS eBooks. They are definitely at the forefront of eBook technology, particularly interactive books. Not only that, but their strategic partnership with Bish Bash Books means that some of our YPS children’s authors may well get offered American eBook publishing deals – we hope! The one thing that we are always going on about to authors is the importance of publicity and marketing. Social networking is a huge part of that. 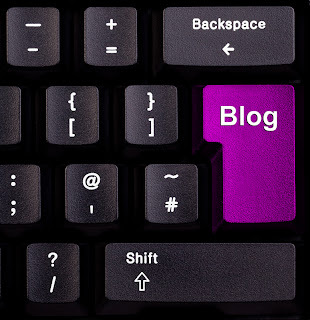 So why, after telling authors all the very good reasons why they really should have a blog to communicate with their readers, do we not take our own advice? This will be the first post of 2013 and, rather than one post every six months, I will be following our own advice and posting here every week! The way to hell is paved with good intentions, so please feel free to remind me of that during the coming year! If you have any news that you want to include, please feel free to post it straight into the comments section. It could be details of your book launch, hitting the first 100 sales, or just telling everyone else that you’ve found another great blog to follow. Anyone who would like to do a guest post, please contact me via the YPS enquiries email.